LLC (CarMax) alleging breaches of express and implied warranties, intentional and negligent misrepresentation, breach of contract, unfair competition under Business and Professions Code section 17200 (UCL), and a violation of the Consumer Legal Remedies Act (CLRA; Civ. Code, § 1750 et seq.). CarMax demurred to Gutierrez’s third amended complaint and the trial court sustained the demurrer without leave to amend. Gutierrez appealed, contending her allegations about an undisclosed safety recall adequately stated causes of action for breach of an implied warranty of merchantability and violations of the UCL and CLRA. The CarMax Warranty Brochure contains the details of the Limited Warranty. and listed the 125 points. had a duty to disclose the safety recall, we conclude her allegations are sufficient. So, despite the “Limitation of Warranties” in Carmax’s contract, the court found that the plaintiff had stated a cause of action for her seventh (UCL) and eighth (CLRA) causes of action and reversed the trial court’s dismissal of her case for those two causes of action. 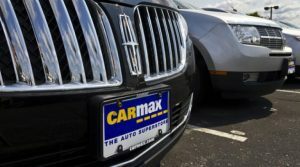 The plaintiff lives to fight another day and Carmax may just face a jury regarding its business practices. This entry was posted in Legal and tagged § 1750, B&P 17200, Business and professions code 17200, carmax, Civ. Code, CLRA, Consumer Legal Remedies Act, demurrer, GUTIERREZ v. CARMAX AUTO SUPERSTORES, limited warranty, papplaw, ucl by ericpapp. Bookmark the permalink.